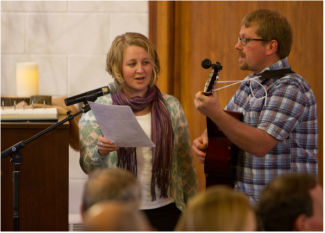 In an era of mass marketing, uncontrolled consumerism, loneliness and growing violence, we are working to create a sense of community for ourselves and our neighbors, rooted in our Mennonite heritage yet moving with the contemporary world. We believe that the best response to cynicism, doubt, and isolation is to invite both friends and strangers to share the burdens and joys of life together. You are welcome to join us! We are not a closed group.